I am interested to buy a single or multiple Erte bottles from within the EU. Any offers? Thank you! We have all eight in mint condition however with out boxes. We can ship from Indiana. Any one interested? Make a bid. Thank you! Complete set of 8 in original Erte display cabinet. Have boxes for bottles 5,6,7. Also have the Christie's catalogue that has this collection displayed and notated. In addition, there is a book by Ricci that is all about the series of bottles. Will include the sterling silver Courvoisier spoon set in the original box and the $10,499 or best offer. 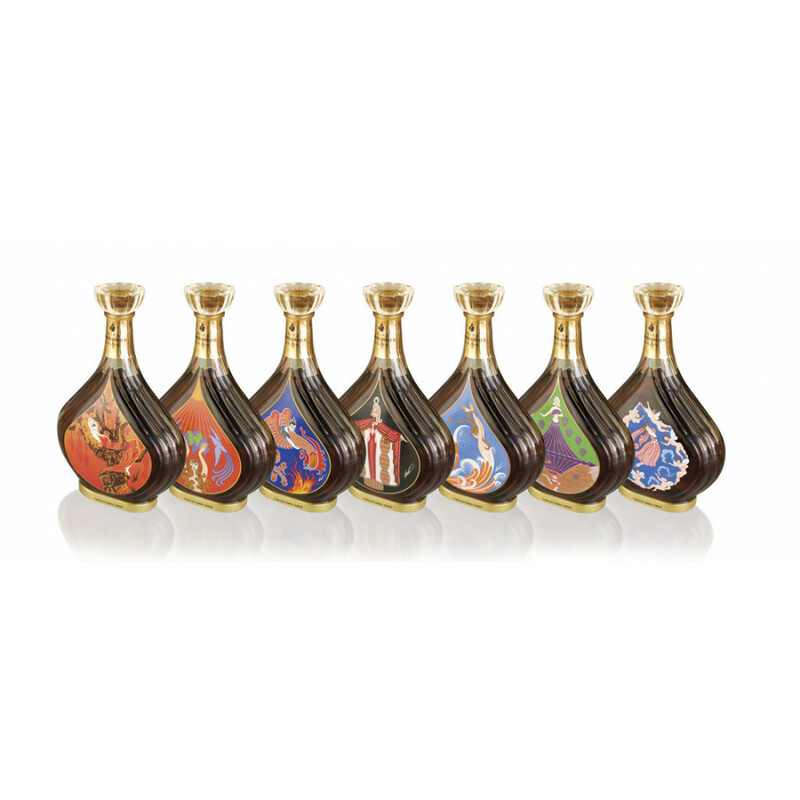 I have the complete set of 8 Bottles of the Erte Courvoisier Collection. All bottles are unopened and with the hang tags and plastic seal over the stoppers. I do have 3 of the original boxes for bottles 5, 6 and 7 and the original display case that shows Erte's signature on the glass front. Very nice display that lights up from the bottom of each bottle. Also includes the Letter "C" Erte Courvoisier book by Franco Maria Ricci and the Christie's catalogue (New York Dec, 8th) that gives descriptions of all the bottles. There is also the letter "C" Erte scarf that looks like a table runner. In addition, there is a full set of sterling Courvoisier spoons in the original box. Would prefer to sell whole collection for $10,499 plus shipping and insurance. If you are only interested in part of the collection contact me and make me an offer. I have 11 bottles, all perfect, in boxes, with plastic covers (and cards). Will sell one or all. I have a Courvoisier Erte Cognac No.2 / Vendanges in excellent condition.If you are interested in,please contact me. Thank you! I have all 8 bottles, unopened, in boxes....looking to sell.. I have Bottle #1 and #6 with box in excellent condition, and looking to sell.If interested, please contact me at this website. I have full collection of 8 bottles with oryginal boxes,posters etc.I would not mind to sell to serious collector.In addition i have oryginal lithographs,serigraphs and handpainted gouash with artist,s handwritten notes and sketches on backside. I would not mind to include quite a few art books about life and work of Roman Tirtoff/ ERTE. I would like to buy or barter (I have extra bottles to collections) for a # 2 that is numbered 2 on the bottom of bottle, with box and sleeve, in good condition.Would consider bartering with a # 6 bottle in excellent condition, with box and sleeve. If interested, please contact me at this website. If you are a serious buyer I have the complete set (1-7) including the Erte sideboard. Please contact me would like to sell them. Have a #8 Inedit. Looking for $2,000 or best reasonable offer. 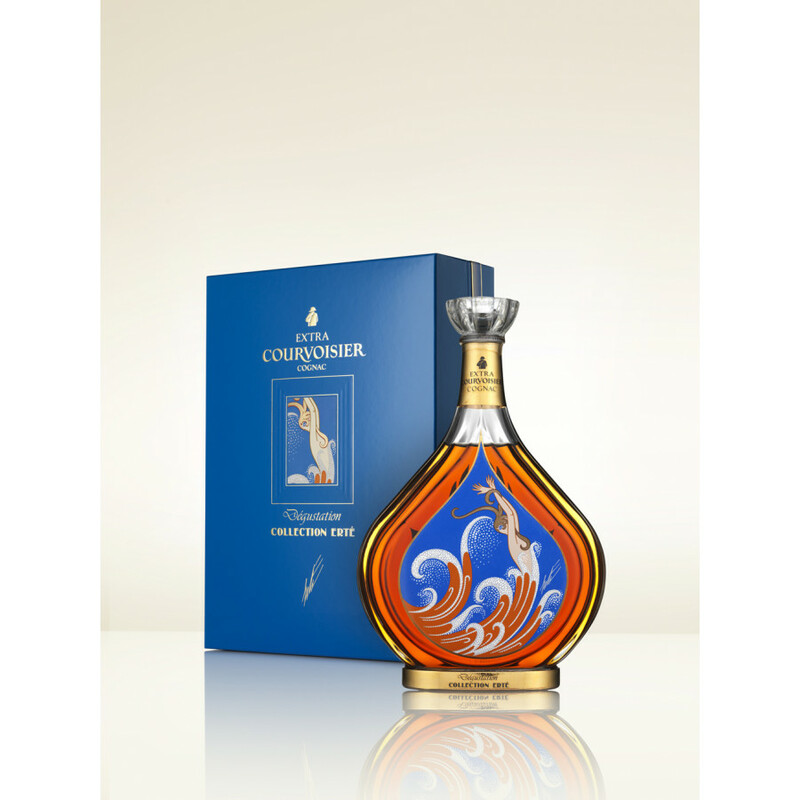 I have i believe a complete set of the erte courvoisier bottles in the fullpresentation boxes as received. I would be interested in selling theset because of age. contact me for details. I have bottle 1, Vigne, with box and papers that I would like to sell. In perfect condition. Any offers? I have editions 2 through 7 for sale. (I live in Scotland)Any offers? I have the same bottle for sale. If you are interested make an offer in this post. I have #1-7 Erte courvoisier collection for sale with original boxes. Hi Sidney (and all others), if you have bottles you'd like to sell you might want to click on SUBMIT BOTTLE and upload your images and information - but please be aware: your images must be really well shot, we prefer very nice &amp; beautiful pictures, made "with love"; also write down where exactly the bottle is located, how you received it etc. I have Erte bottles #2 and #7 for sale. Please get in touch with me if interested. I also have Louis XIII for sale, all brand new. I have two #1 bottles and one #4 bottle. All are unopened. The #1's come with boxes and paperwork. They are all single owner by my family, located in NYC. I want to sell individually or as a set. What's the offer? I have bottle #1 Vigne in a box unopened bottle for sale. Email me at lmcspirit@earthlink.net. Hello, I have a complete set #1-7 that I would like to sell...asking 48,000 but will negotiate. Hi my name is Manuel. 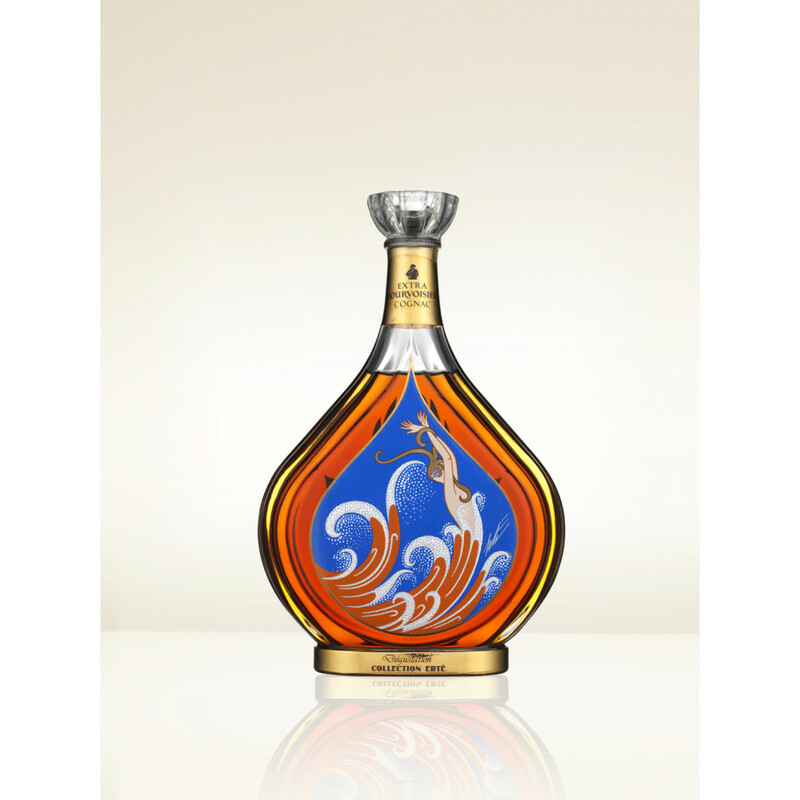 I am looking to sell my Erte Cognac #7, I have three other bottles but would like to try to sell one only. If interested, please email me at mgtrauma1@gmail.com. Only serious buyers only. I am open to all offers. hi i have full collection cognac erte bottle #1#8 brand new to sale for $10.000 more info? let me know and comment in this post. Several years ago our family purchased two full sets of the Erte Cognac Collection at the time my brother Joseph was very involved in the spirits business. He has since passed away and our family is now seeking a resource to help us in the sale of this collection. In addition, we have the following: bottle # 1 - quantity 3, bottle # 2 - quantity 1. Our hope is to sell the bottles as complete sets. The collection was purchased through Sam's Wine &amp; Spirits in Chicago, IL USA. All bottles are in the original packaging and have been stored properly. Any assist you can provide is greatly appreciated. My family has two (2) complete sets of the Erte Cognac Bottle Collection Bottles 1 - 8 inclusiveThey were purchase from a large Chicago Retail store they are all in original packaging and have been stored properly. In addition, to the 2 complete sets we also have the following:Bottle # 1 - 3 Bottle # 2 - 1 Sets must be sold as complete sets. Please contact us to discuss pricing. Greetings from the city of Detroit, Michigan, developed from a French fort and missionary outpost founded in 1701 to one of the largest American cities by the early 20th century. I was anxious to complete the Submit your Bottle form, but the bottles I have are boxed and sealed. 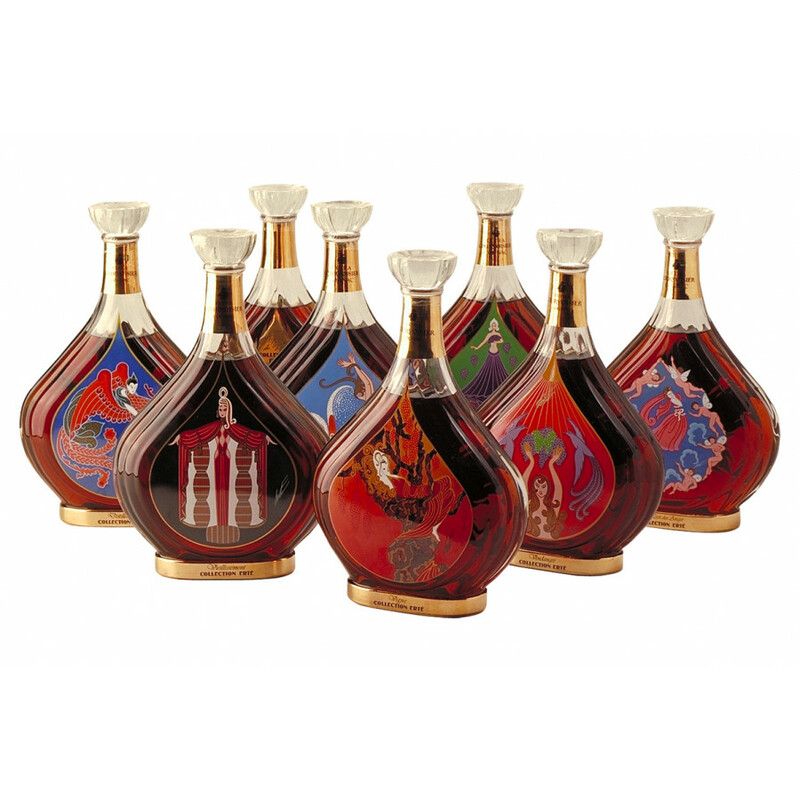 I have 27 Erte Courvoisier Collection bottles:4 # 17 # 27 # 34 # 43 # 51 # 61 # 7Can you recommend or suggest the best way to offer them to someone that would enjoy owning them. I would be willing to part with all or some. Enjoy your evening, I know it is getting late. I think I will go out this evening and have a glass of Cognac. I have a new Courvoisier Cognac Vendanges Collection Erte No.2 in a perfect condition box with the papers located in Europe.Would like to sell it to a serious buyer if anyone is interested. 14 Sept. 2012 On Courvoisier Collection Erte Cognac I have a complete set 1 - 7 bottles in original packaging never opened which I am willing to sell. If anyone is interested please send me an email to mike@aspotoganridge.com. As executor of the Estate of John Lindahl, I have a complete set of 8 in the boxes for sale. Open to receiving any offer. Hi all, I have an extensive cognac collection, including Courvoisier's Erte and Chateau Limoges, Remy Martin, Johnny Walker and more. If you are interested, please message me at awan418 at msn.com. They were previously my parents' and most have boxes and papers. Hello fron Florida USA!I have a complete set of Erte Cognacs 1 thru 8. All in perfect condition in boxes with certificates. I would like to sell them. I have a little collection of 4 bottles. Two of them are 75 cl. is it possible ?Thanks !